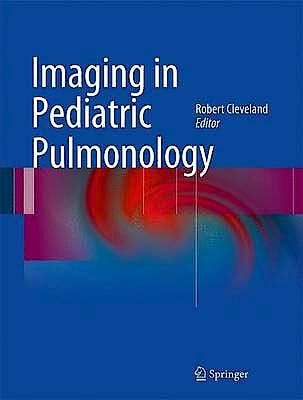 Imaging in Pediatric Pulmonology is a definitive reference to imaging and differential diagnosis for pediatric pulmonology. Diseases and disorders seen in everyday clinical practice are featured, including infections, developmental disorders, airway abnormalities, diffuse lung diseases, focal lung diseases, and lung tumors. Organized to support the clinical thought process, the text begins with a series of clinical algorithms that provide a starting point for formulating a diagnosis. The physician will be able to identify the differentials by symptom complex and accordingly determine what test would be effective and how to proceed. The balance of the book is image-based and presents a comprehensive, multi-modality approach, with an emphasis on plain film and cross-sectional imaging. The imaging sections are correlated with pathology and clinical findings to help readers learn what the modality of choice can enable them to see. Edited by Robert H. Cleveland, MD, Professor of Radiology at Harvard Medical School and Chief of the Division of Diagnostic Radiology at Children’s Hospital Boston, the book includes a talented group of associate editors and contributing authors who are noted experts in pathology, pulmonology, and radiology, making Imaging in Pediatric Pulmonology an ideal reference for all physicians involved in the diagnosis and treatment of pediatric pulmonary issues. The Normal Chest Radiograph and Clues to Cardiovascular Disease. Interstitial Lung Disease in Infants and Children. Pulmonary Venous Anomalies in Infants and Children. Pulmonary Hypertension in Infants and Children. Pediatric Lung, Central Airway, and Chest Wall Neoplasm. Percutaneous Chest Intervention in Infants and Children. Lung Transplant in Pediatric Patients. Fetal Imaging of the Chest.